The Eastern Sierra Nevada mountains run the length of US Highway 395, through most of the eastern side of California. Mammoth mountain is a volcano, so naturally hot springs come with the package. These hot tub destinations listed here are mostly part of the Long Valley Caldera, an ancient volcanic table land. North of Bishop and near the snow ski destination towns of June Lake and Mammoth, California in Mono County, California. Backroads Camping is allowed throughout Inyo National Forest, but there is private ranch lands mixed in w/ public lands. Respect property boundaries, and speed limits around gates and intersections. Camp sites are not located next to the soaking tubs. A few may be within walking distance. Parking is often limited at these remote, public use hot pools. 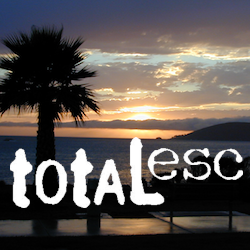 Total Escape TIP: Behind Lake Crowley: abundant, free camping – wide graded dirt roads (RV and passenger car suitable). Inyo National Forest Map is recommended. Casa Diablo Hot Springs near the Mammoth exit, is a location noted on most maps, but this seems to be the geothermal power plant for the region. If you are looking for hot springs tubs to soak in, you’ll need to get off the main drag for those beauties, way off the highway. On to dirt roads perhaps. Minimal dirt road driving. A very popular spot where hot springs are located within the big creek, so you can feel cold and hot water flowing by you. Scalding can occur near vents underwater, so use caution when wading. Large parking lot overlooks the soaking area and creek canyon. Swimsuits required. This rural intersection at US Hwy 395 is known for the little green church on the corner. Turn east off the highway on to this road> Pull over, get out and stretch. Look at your maps, get the GPS out and then start your exploring. FIrst timers might be able to find a soaking tub within half an hour, if you don’t get lost. 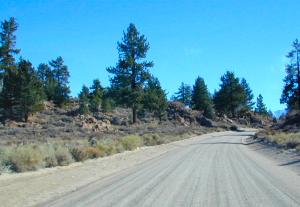 a major graded dirt road that leads north off of the paved road, becomes Owens River Road and connects back to US395 several miles to the north. Several primitive hot tubs can be found on dirt roads in this region, which lead off the main paved road. At night these remote pools can be hard to find with no signage, no street lights and pitch black darkness. Plus the mud blogs and grassy fields all around make the landscape difficult to navigate. If you plan a nighttime arrival, then plan to drive in slowly around the pools, have your GPS handy and look for steam in the air. Cut your headlights if you see other cars or people, and proceed slowly and be friendly. 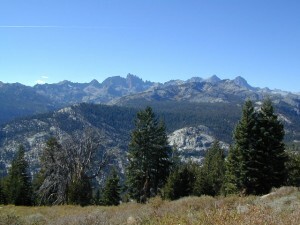 This wilderness region is located the on the west side of Mammoth Mountain, accessible by the paved Minaret Summit Road, which closes due to deep snow and is generally only open during summer months. developed campground w/ wooden sheds for baths: showers & tubs. remote, wilderness; hike-in hot springs.